Mitchell has long made the argument, along with other reputable historians, that the ‘Black Diaries’ are forgeries. On Thursday 7th April 2016 in Galway City Library The Liam and Tom O’Flaherty Society hosted a lecture on ‘Roger Casement and Galway in 1916’ presented by Angus Mitchell, the foremost authority on Casement. Angus Mitchell, who was born in Africa and educated in England, has lived for over two decades in Ireland, where he has studied the life and legacy of Roger Casement and a group of associated radicals, pacifists, feminists, cosmopolitan nationalists, internationalists and other critics of empire. To date, his published research has focused largely on Roger Casement’s work in Africa and South America. 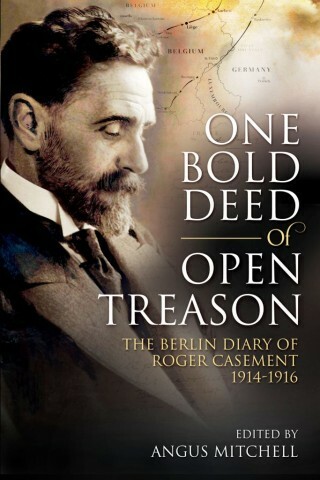 Mitchell’s extensive writings on Roger Casement have helped to retrieve the former diplomat into the history of human rights and placed him firmly within the progressive anti-colonial forces of pre-First World War Britain. Mitchell’s work has also reinvigorated academic interest in Casement and the controversies associated with his life. Much of the early research for his body of work was undertaken while Mitchell was resident in South America, where he travelled widely on the Amazon and revisited the principal locations where Casement stayed when consul general in Brazil. His work has cast vital new light on Casement’s entanglement with British intelligence and the enduring puzzle over the authenticity of the nefarious Black Diaries, the documents that have largely defined Casement’s myth in the public imagination. Mitchell has long made the argument, along with other reputable historians, that these documents are forgeries.